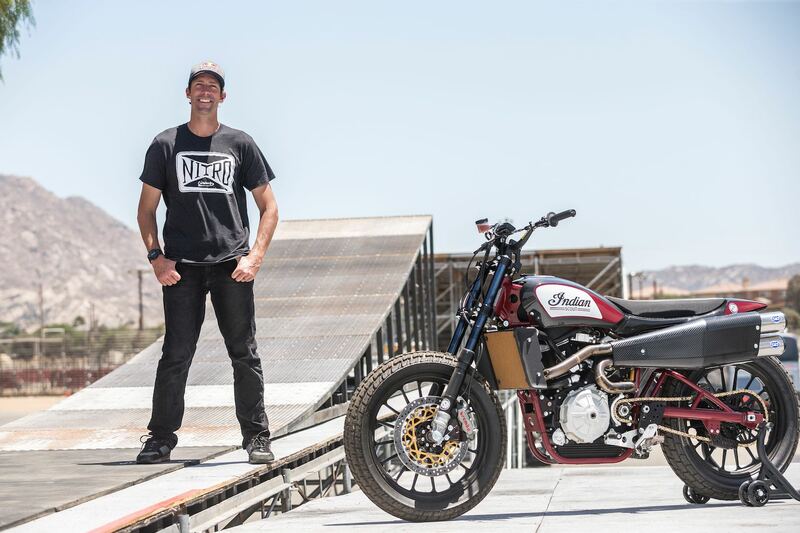 Travis Pastrana traveled – and continues to travel – a unique course within the world of motorcycles. The 35-year old of Maryland began his life as a pro motocross racer, before he transitioned into daredevil and philanthropist. Due to his energy and influence within the motorcycle industry, the American Motorcyclist Association has chosen Pastrana as its 2018 Motorcyclist of the Year. “Few things or people in motorcycling today capture the fascination of today’s youth like Knievel did for me as a boy,” AMA President and CEO Rob Dingman said. “Travis Pastrana’s performance no doubt captured the attention of young people in a way that hasn’t been done since the days of Knievel. “He drew positive attention to motorcycling through mainstream media in a manner that helps to promote motorcycling and the motorcycle lifestyle. Pastrana’s career in extreme sports began as one of the country’s top amateur motocross racers. Pastrana won his first AMA amateur national championship at the AMA Amateur Motocross Nationals at Loretta Lynn’s Ranch in 1994. In all, Pastrana won five AMA amateur titles before being awarded the AMA Motocross Horizon Award in 1999, presents annually to an amateur racer poised for excellence in the pro ranks.